One person on here has experienced it. There are caps on several games, like Clean Sweep at 75,000 or something. This prevents marathoning, usually capping games at an hour's worth of play. Others just makes things fair where there is an advantage, such as those of us that have the Vectrexes that go beyond Mine Field 13 on Mine Storm (the game is capped at 150,000). Very cool! Great idea Malban and beautiful result! Get looking set of packaged games. Floor is Lava package is super YUM!. Excellent work all! Thank you all for your posts and feedback. Various good things came together, so that something special came into being. hello all , I am new to the forum. I love the idea of the vector wars, I am looking forward to competing next year. I was wondering though, if there is a reason that the web wars maximum creatures is capped at 20? there are more creatures to capture after 20... they are invisible on the main screen but if you capture one they do show up in the trophy room in between the original 20 creatures. its tricky hard to get one, I think ive gotten to 22 and ive no idea how many more are possible . is this something other people have experienced? In Web Warp it takes quite a while till you gather 20 trophees. After 20 trophees the game seems to work more and more out of its original specifications. Therefore I decided to limit the number of trophees of Web Warp in the past Vector Wars and was happy to see that playing Web Warp in a tournament worked out at all (as you probably know the score of Web Warp is useless because you can play endlessly without a problem). To some extent the rules of the Vector Wars are changeable and negotiatable before and even during a Vector War if needed. If several people think that a it makes sense to remove the score limit of a game, e.g. Web Warp, I'll listen to that. BTW, Web Warp was played in Vector War VII and VIII, therefore it won't be played in coming Vector War. I look forward to seeing you, ithica, and other new and former players in Vector War IX! EDIT: I just had a look at the wiki entry of Asteroid Cowboy. Very well done, VectorX! Kind of bonus for doing so to encourage that .Thanks for the repost and the explanation. I think I speak for both of us when I say that this is by far the best reward for a university project like this you could ever get. A huge thanks for producing the games to you Malban and of course to everyone else involved with the organization behind the scenes! We were very happy about the surprise! Many thanks again to everyone who tested the games created during our course and provided us with valuable feedback. You have contributed significantly to the quality of our games and our enjoyment of participating in the course. If you keep up the great work, I'm sure there will be many more fantastic games to come with the next courses! Very kind words, I totally agree! The fonts for the game titles on the cover are super cool. What I actually like the most, are the small game-specific drawings on the cartridges. Also, the contrast between the games (red - blue) fits perfectly into this situation. For some reason it reminds me of Pokemon, where mostly two contrary editions are released at once, and you always want two have them both! 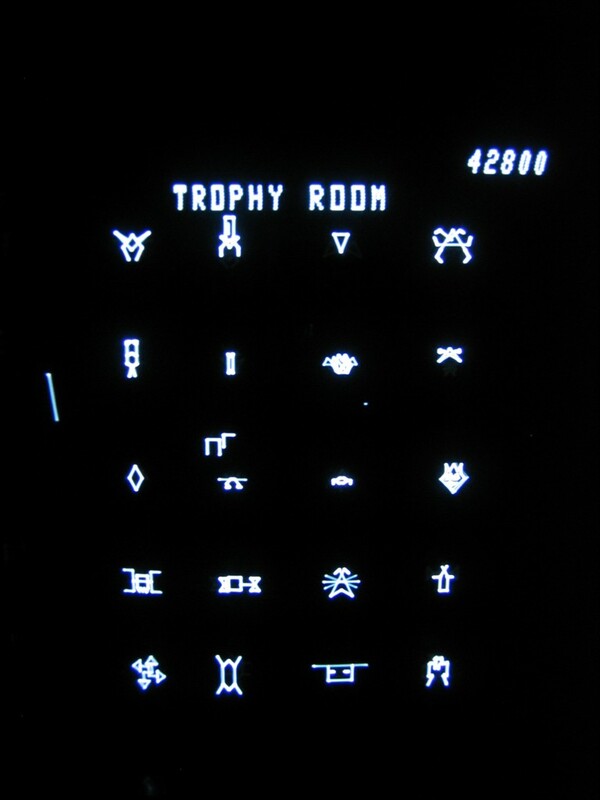 Thank you very much, Vectrex community, and especially to you, Malban ! Holding a self-created game in the hand, produced as a present by a thankful community, is by far the best thing to happen! Also, thanks to hcmffm and any other reviewer for the constructive feedback on our games, which was a huge motivation for us to continue developing! I am definitly looking forward to future Vectrex courses. 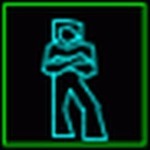 I just realized there is a page for Asteroid Cowboy in the Vectrex wiki, and had a look at it. It not only describes the game and it's background in detail, but also explains how the course originally was created. Additionally, some interesting facts can be found there. ^Thanks. I plan on taking a look at your game too, as well as doing a page for it at some point. Thanks again to Malban for the great prices, I am very happy to have the boxed cartridge version of Floor Is Lava. Amazing!!! At the moment, Floor Is Lava is one of my favourite games on Vectrex. Very good gameplay, and I very like all the soundtracks in the game. This is very great work, not only the coding, it is made with love! (Sure, it was not easy, I think this was also hard work!) Thank you Volcanus! Oh there was anywhere a link to an old alternative version with diagonal scrolling or something else, but the link is expired. Could you upload the bin file again and past the link here? Would be great! But also all other games of the students and all other homebrew developers are great. Thanks to all of them. And there was the topic about Web Warp... I found an old picture of the year 2009 that I made, when I captured 24 of the creatures. 21: Invisible, 22: this "graphic" over the creature number 10, 23: the dot, 24: the line at the left border. I just wanted to say thanks to Malban for donating 3 amazing prizes. The cart packages for the student games look super professional. I'm really enjoying my Vectorblade prototype. It's really cool to have a one of a kind vectrex item like this. I don't quite understand all the systems in place especially for some of the upgrades like lock and timer. I'm also stuck on the first boss and can't figure out how to hit it with all its underlings blocking the shots. Still, lots of fun and impressive just how much is able to go on at once without the vectrex even struggling to display it. Shoot the swarmers, and befor they refill shoot at the boss. By now, most Vector War prizes have reached their prizes winner. Vector War T shirts will take another 3-4 weeks. 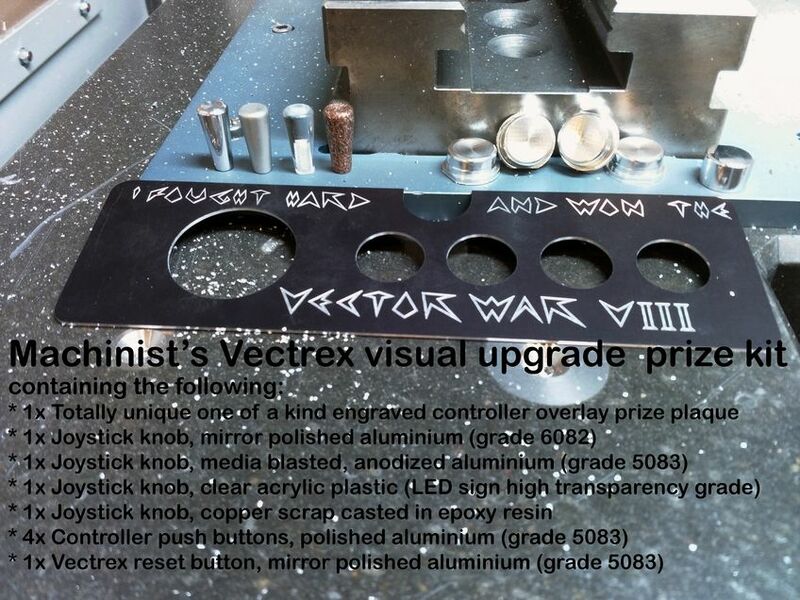 Tony Lindberg has donated the The Machinist's Vectrex visual upgrade kit. 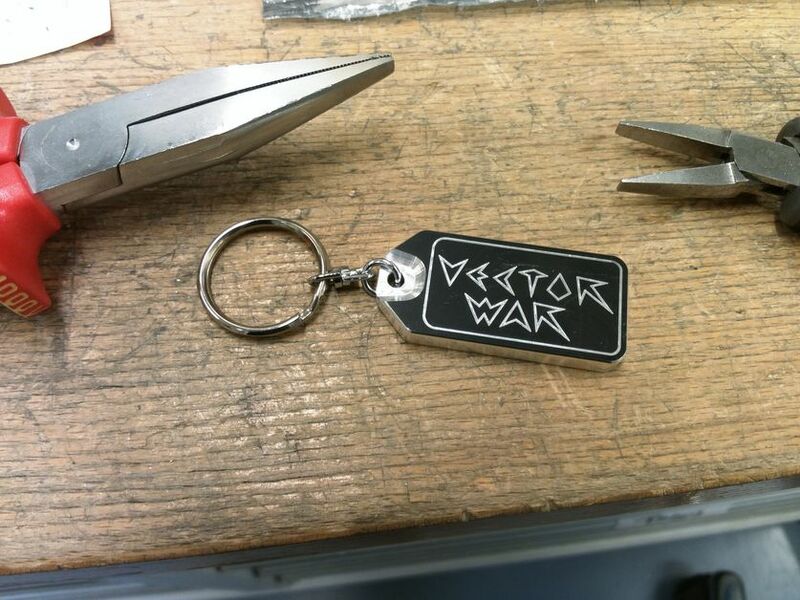 But Tony donated even more: Vector War Key rings ((thank you, Tony!). These beautiful keyrings are made of aluminium and are solid but still comparatively light (~20 grams). (I'm sure Tony could provide many more technical details about these keyrings including the time his CNC mill needed.). 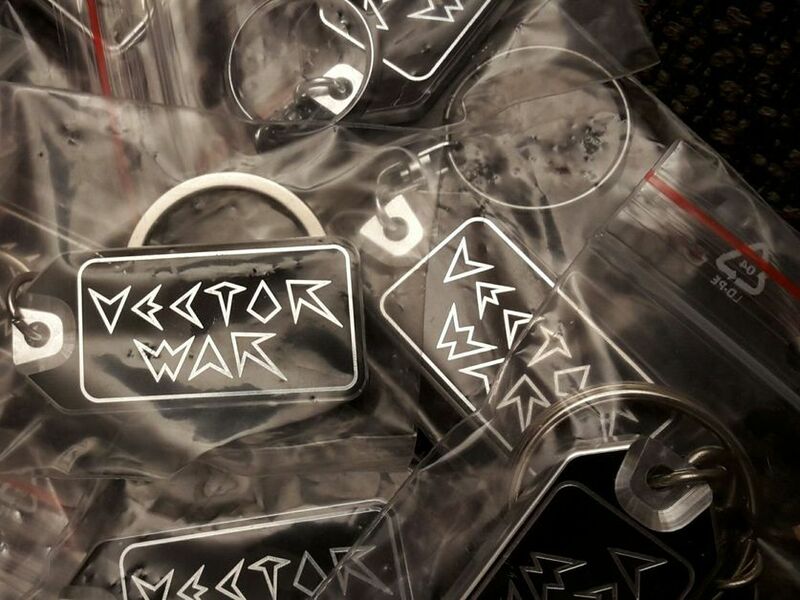 Anyone who participated in Vector War VIII can get one keyring for 3 EUR/ 3 USD / 3 GBP (free keyring + international shipping). If you did participate and are interested in a keyring, please contact me via PM till 30th December.